As an independent travel agent, many clients are likely eager to plan a summer getaway, but to offer an out of the box experience, it’s often a good idea to offer clients spring trip ideas. From fabulous festivals to hot new hotels, there's a lot to see and do around the world this spring. During spring months, New Orleans boasts the perfect mixture of cool breezes and warmer temps. Make your trip during April 25th- May 4th, when the city of New Orleans hosts the New Orleans Jazz & Heritage Festival and enjoy days full of a ton of music and fun. This year will mark the festival's 45th year and will off an amazing lineup of artists that include Robin Thicke and Bruce Springsteen. The town of Cartagena is an old town that still features a well preserved culture. Located along the coast, it boasts beaches with crystal-clear water and astounding coral reefs that make it the perfect destination for a relaxing spring beach getaway or an adventures diving trip. Pro tip: get the most out of your diving experience by visiting the outlying islands of Baru, Rosario and San Bernardo. While wineries in the northern hemisphere are just beginning to their planting and growing endeavors, wineries in South Island have already begun harvesting meaning fresh new batches of wine await. Sprawled amongst the mountains, South Island wineries are known for their pinot noirs and for the range of colors that mother nature produces during this time of year. For those looking for a relaxing mountain getaway, it’s the perfect spring escape. Pro tip: the most popular vineyards include Rippon in Wanaka and Amisfield in Lake Hayes. Paris lights up in the spring making it the perfect time to indulge in the city of elegance and romance. 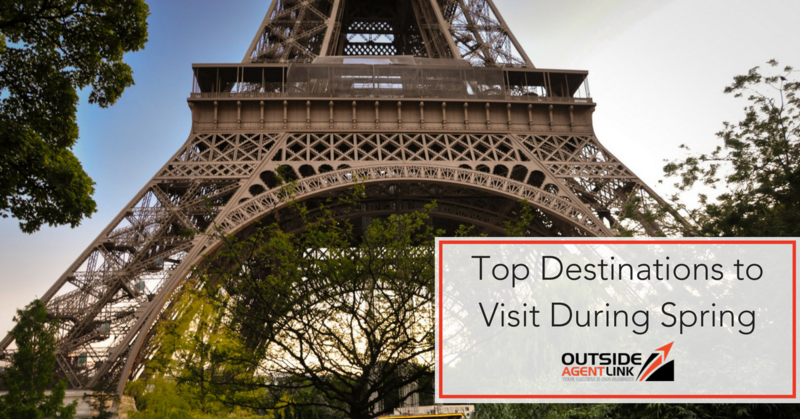 Spring marks the opening up of gardens and parks like Luxembourg Gardens and Buttes-Chaumont, and visitors will enjoy the streets that are sprawling with festivals, vendors and locals. Pro tip: plan a stroll through the area’s newest exhibit, the Parc Zoologipue, which is home to a range of animals and boasts a brilliant recreation of each animals’ natural habitat.